Save the last dance! Homecoming is here! 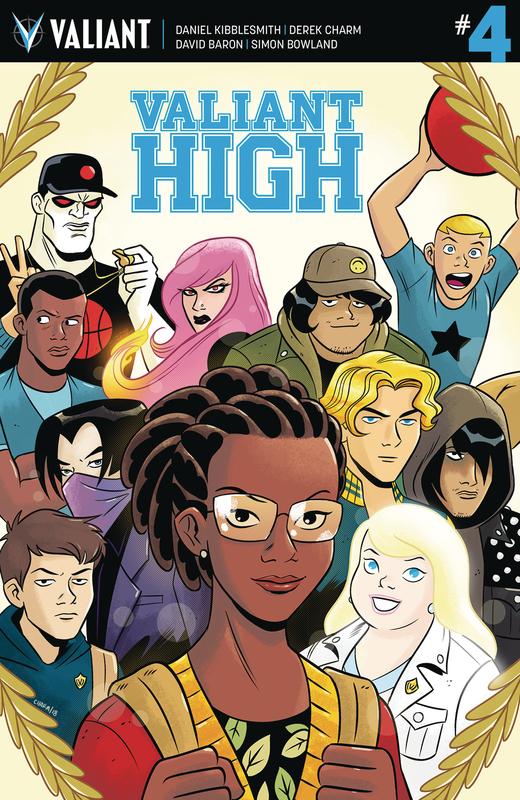 For the students of Valiant High - the super-powered preparatory academy where tomorrow's heroes learn what it takes to save the world - that means that the biggest night of their young lives is almost upon them...and that the Immortal Enemy is finally ready to make his move! But as Faith, Colin 'Ninjak' King, Peter Stanchek, and Amanda 'Livewire' McKee try to stir unity amongst their classmates, can teamwork triumph over ancient evil? From rising star Daniel Kibblesmith (Lockjaw) and Eisner Award winner Derek Charm (Jughead), this side-splitting, all-ages reimagining of Valiant's greatest heroes is going out in style!